Next month sees the 211th anniversary of the Battle of Trafalgar (21st October 1805), when twenty-seven British ships of the line, led by Admiral Lord Nelson aboard HMS Victory, defeated a combined fleet of thirty-three French and Spanish ships off the southwest coast of Spain, just west of Cape Trafalgar. The Franco-Spanish fleet lost twenty-two ships, without a single British vessel being lost. It was the most decisive naval battle of the Napoleonic Wars (1803–1815) and put an end to French plans to invade England. The British victory spectacularly confirmed the naval supremacy that Britain had established during the eighteenth century and was achieved in part through Nelson’s departure from the prevailing naval tactical orthodoxy. Instead of engaging the enemy fleet in a single line, maximising fields of fire and target areas, Nelson divided his smaller force into two columns directed perpendicularly against the enemy fleet, with decisive results. Nelson was shot by a French musketeer during the battle and died shortly after, becoming one of Britain’s greatest war heroes. He was also one of Britain’s greatest leaders and over 200 years since his death he still has much to teach us about the art of leadership. In this blog I am going to focus on three aspects of his leadership: creating a personal brand; participative leadership; and inspiring his subordinates. Nelson virtually invented the personal brand. People told stories about him: his courage during the amputation of his arm, the way he turned a blind eye at Copenhagen, and more salaciously his affair with Lady Hamilton. Yet he was also very diligent in carrying out his duties, he worked hard, in now widely used naval parlance, ‘to learn the ropes’, seeking out opportunities to improve his experience and get himself noticed. He also read widely in politics, history and literature, and spent time at home in reflection, learning, thinking and preparing for his next assignment. Furthermore, he quickly recognised that it’s not what you know and it’s not who you know that counts. It’s who knows what you know, which really matters. 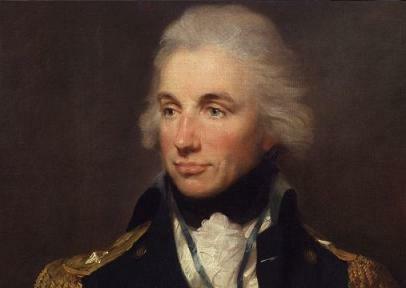 His uncle was already a senior officer in the Royal Navy when Nelson joined and he used his advocacy to good effect, but Nelson also took the opportunity to learn from other skilled mentors, such as Captain William Locker. Nelson served under him as a newly promoted lieutenant for only fifteen months, but his advice, wisdom and backing had a lasting effect. In short, Nelson delegated duties to competent men and let them get on with it. He explained goals and tasks clearly, and then did not interfere. He always supported his officers when they showed initiative and if things went wrong he defended them. He admired bold and decisive action in others as much as he followed this policy himself. He would rather mistakes were made occasionally than his men succumb to indecision and inactivity. Inspiration is the action or power of stimulating the intellect or emotions in others through affection and communication. You may be effective through manipulative and unscrupulous means, but you will only be respected as a great leader if you aspire to great ideals, and practise them personally in the way you direct your organisation or team. Nelson was an advocate for the ‘we will’ rather than the ‘you will’ school of leadership, he presented himself as a role model. Like all naval officers he employed formal sources of power: legitimate, reward based and coercive. But from this formal power Nelson also developed informal influence through his knowledge of the Navy, the workings of a ship and the demands of war. His reward power was limited in terms of cash and material benefits, but he never rationed praise and recognition. Nelson believed in public and profuse praise, openly acknowledging achievements. He assumed honour and recognition was as important to his crew as it was to him. Crucially, he was intrinsically motivated and this was infectious. It is difficult to inspire others if you’re not inspired yourself, so perhaps the key message to be a good leader is doing something that inspires you. Do you know what that is yet? A lot more could be written about Nelson’s leadership style and I would be delighted to read your own thoughts and observations.